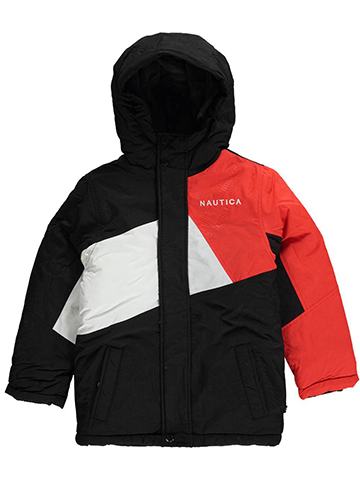 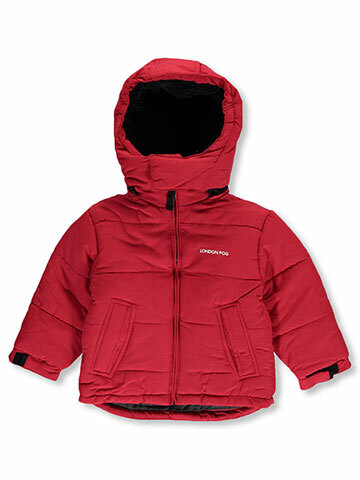 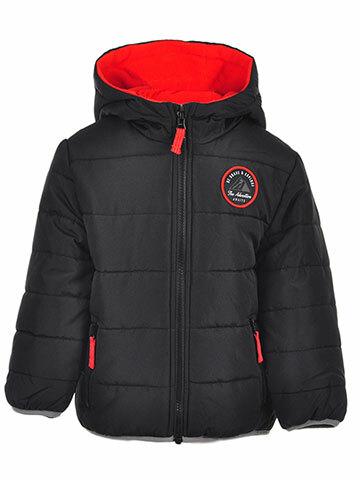 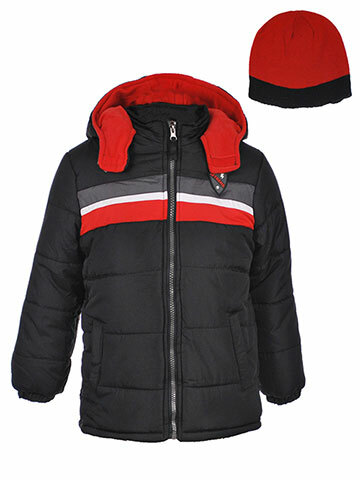 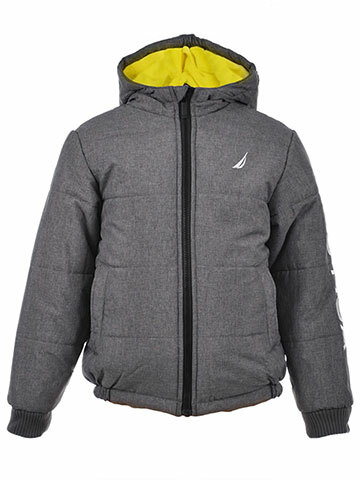 CookiesKids.com sells boys jackets in sizes 4-7 to keep your little boy toasty warm all winter long. 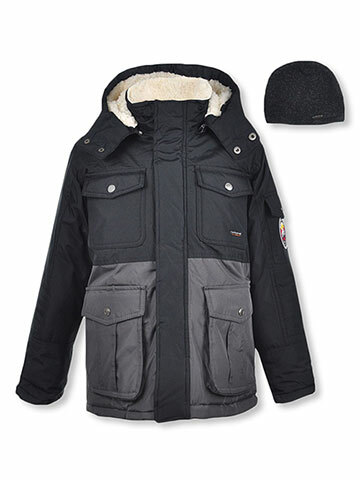 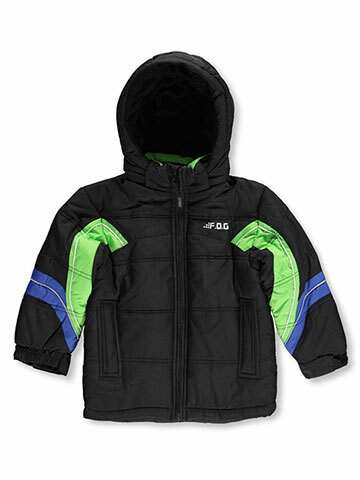 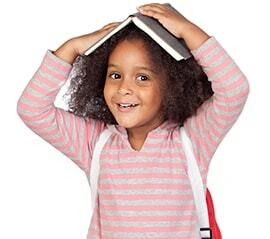 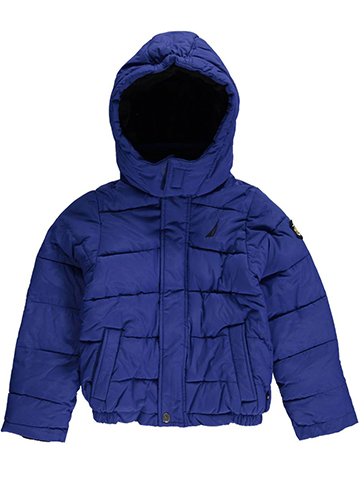 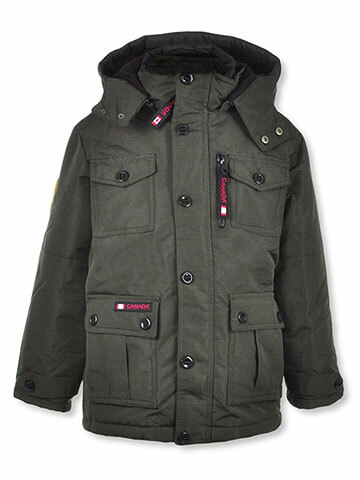 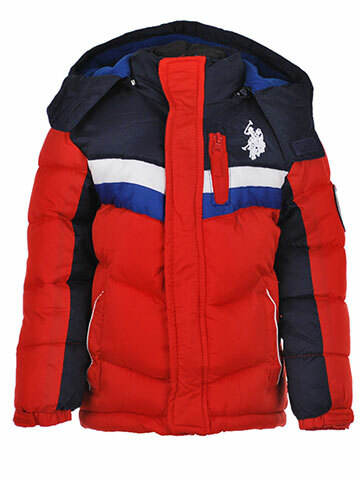 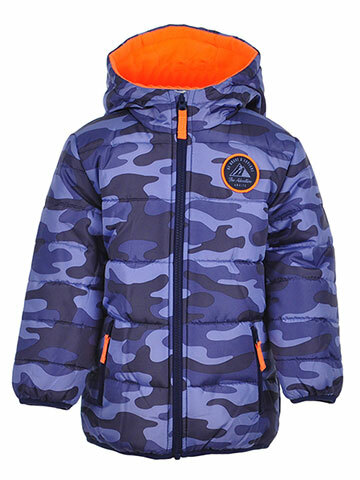 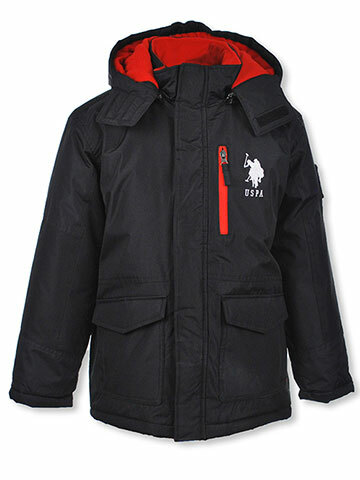 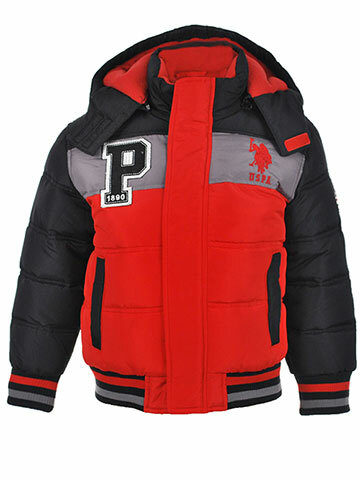 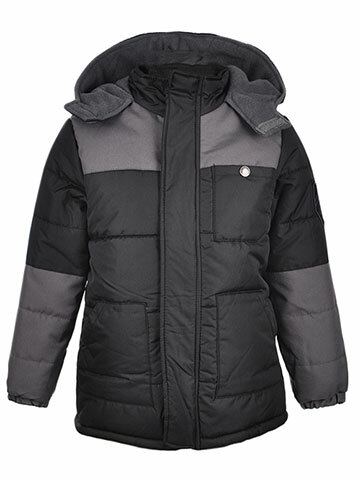 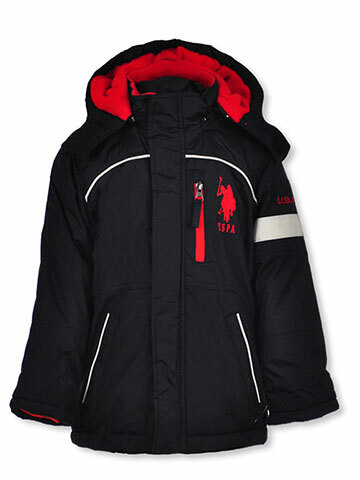 Our name brand boys jackets are by famous makers like Akademiks, Carters, Cavi, Rocawear and many more. 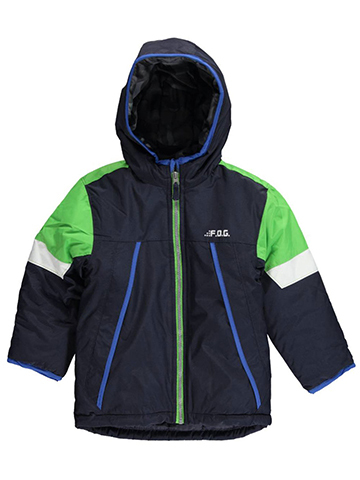 These jackets provide multiple layers of protection against the cold; with many featuring weather resistant shells and insulation. 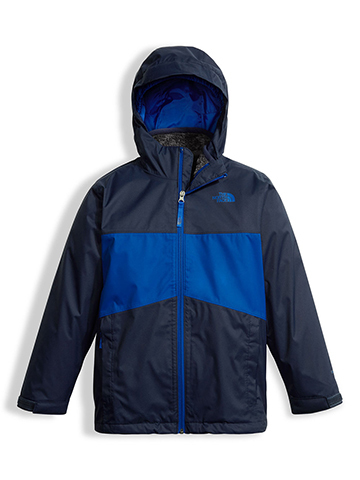 We also offer a wide range of windbreakers for days when he needs a light jacket. 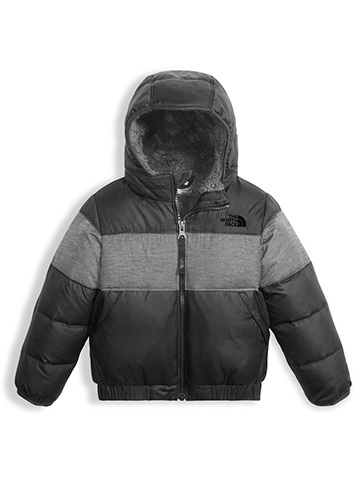 Don't forget hats and mittens to complete your boy's outdoor outfit. 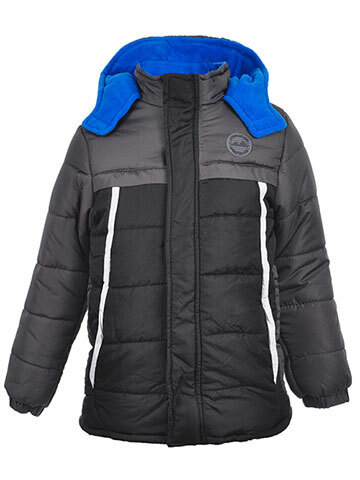 CookiesKids.com also offers these items. 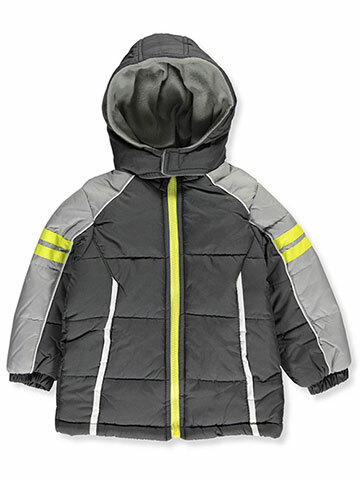 Your boy will look stylish in our jackets that offer a variety of features like ribbed trim on the collars and cuffs, hoods with faux fur linings and trim, Velcro cuffs and handwarmer pockets. 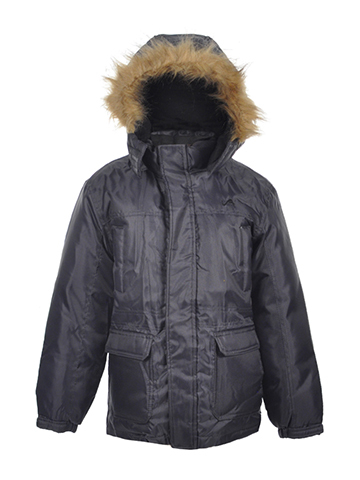 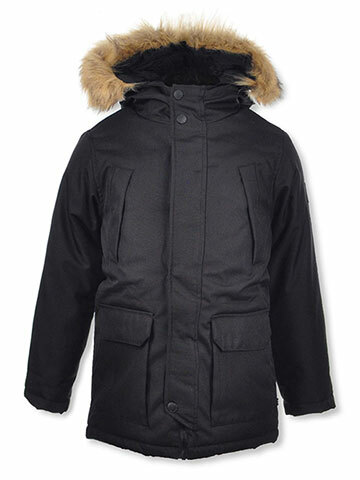 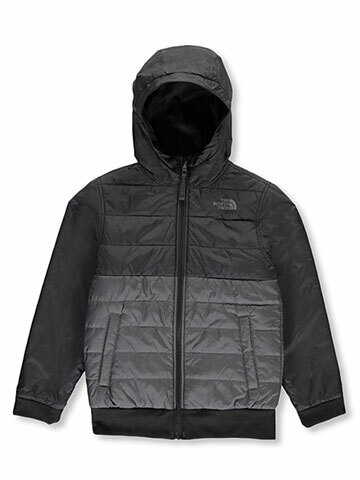 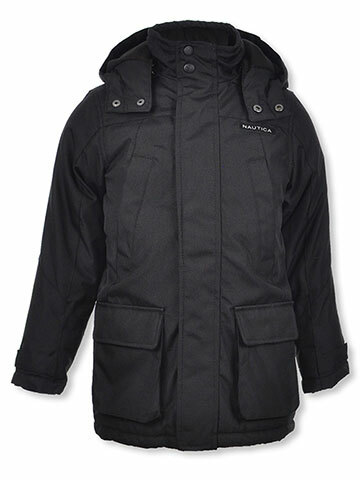 You will also find a number of name brand raincoats from London Fog that feature breathable linings.